21-12-2012. Nothing will ever be the same. 21-12-2012. 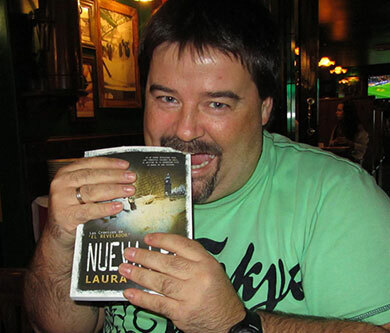 Nada será como antes. 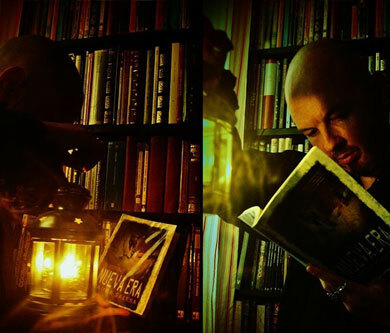 "in a world devastated after the solar storms in 21-12-2012, the destiny of mankind is in the hands of just one person. the revealer." There is no electricity, no telecommunication system working, no information about the situation on other cities, countries. The Earth has been hit by Nature as the man have never witnessed before. In a forced return to the primitive methods of survival, humans struggle to see another day in a planet where the solar storms and solar radiation have almost ended their existence. 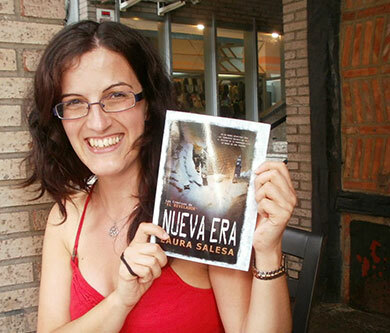 Dana Suarez is just one more survivor. Apparently. An extraordinary, recently-acquired gift will lead her to find out exactly what happened on 21/12/2012. Answers that some do not wish her to discover. Dana, JADE and others live in a crashed-plane-turned-diner-turned-trading-shop. The same plane they were flying back to London in when IT happened. The Phenomenon. 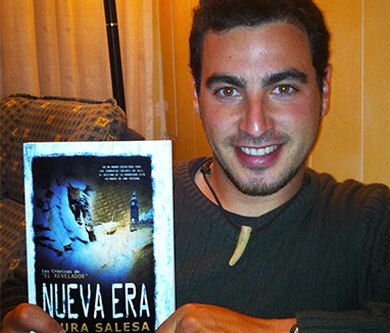 Dana is a Spanish 20-something who moved to London a couple of years back looking for a better future. In London she met Jade through work, he is a gold medallist Olympian with a bright future ahead of him. Now they live in a crashed plane in the middle of an ice-hell, where the sun is a punishment and acid rain storms are the daily bread. But it is not all bad, a beautiful friendship has flourished between them and they soon find a new companion. CLAY, a mysterious boy who will not only help them out on their daily chores and hunting for food but also provide them with the answers they, especially Dana, have been long waiting for. Tsunamis, earthquakes, deja-vu? It looks all too familiar to be a coincidence. But if it isn’t then what? There has to be a reasonable explanation to everything, or is there? 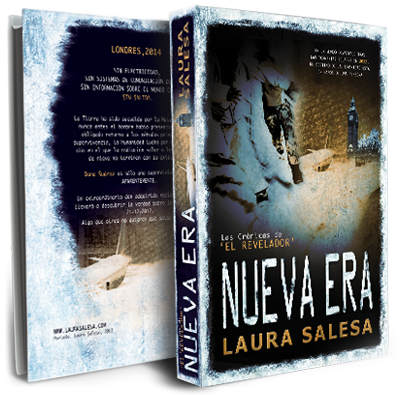 laura salesa spain, 1979. bilingual journalist, graphic designer and writer. 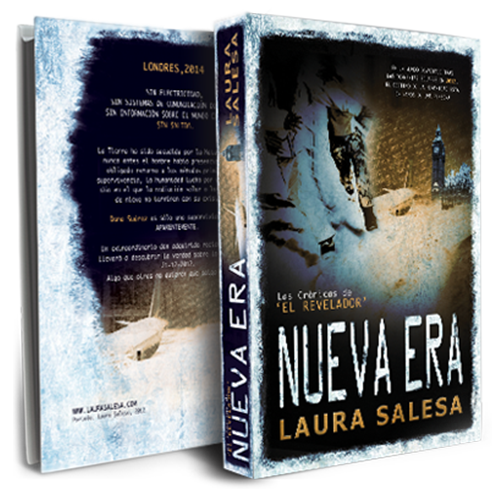 Laura is a multi disciplinary creative artist wih a background in press journalism and graphic design. 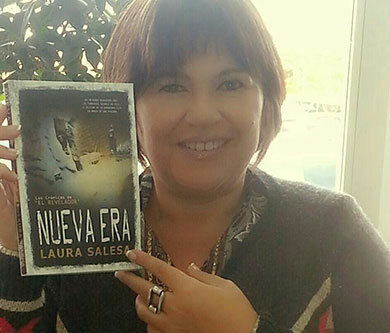 Already in her childhood, Laura enjoyed drawing pencil portraits and writing poetry, both in Spanish and English. 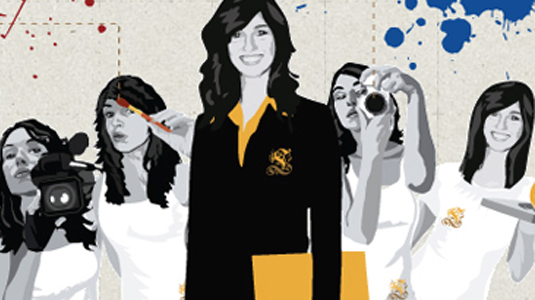 Graduated on Advertising and Public Relations (2002), Laura started her professional career as a TV Reporter, moving into press Journalist and then Graphic Design, having set up recently her own Design consultancy business in London, where she has also exhibited her artworks at several venues. 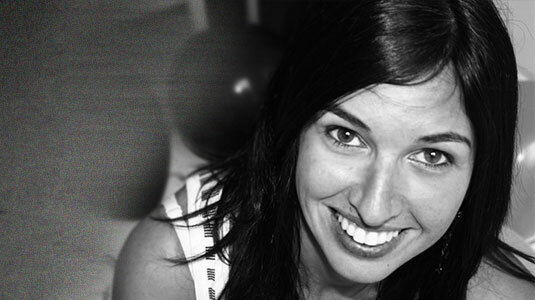 Since August 2010, Laura also runs her own Online Magazine, The Creative Post (www.thecreativepost.org), which aims to promote and encourage creativity. 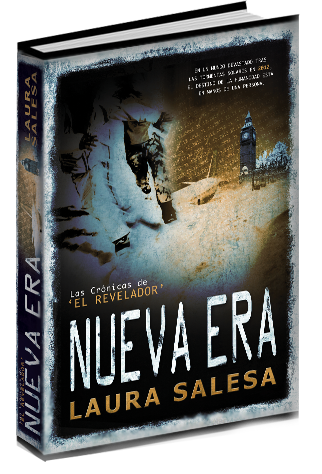 New Era - The Chronicles of The Revealer is the debut fiction novel of Salesa and was self-published in her mother tongue Spanish in 2012. The book was written -accordying to the author- "in between holidays, work breaks, and sleepless nights after the birth of her first daughter". 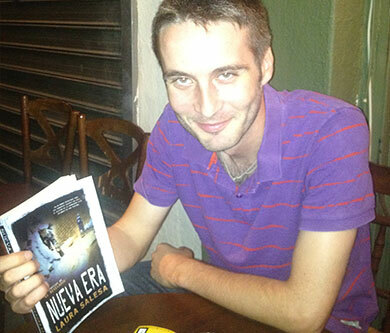 The book has been received well by the Spanish audience who are waiting the arrival of the sequel. 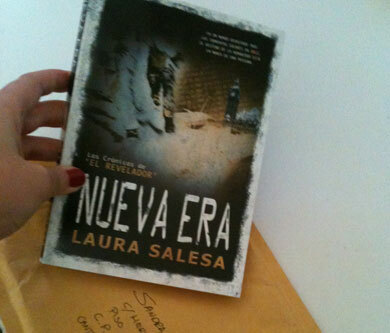 for book updates, blogs and other suprises, Get our newletter!